Hello everyone! Hope you guys are having an awesome Saturday so far. Can't believe I'm back for a week. It's been a crazy week, clearing backlogs, spending time with friends and unpacking. Though I'm still missing San Francisco, it certainly feels good to be back home, in the company of my loved ones. Now that I'm done with the unpacking, it's time to start preparing for Christmas, which is a month away! 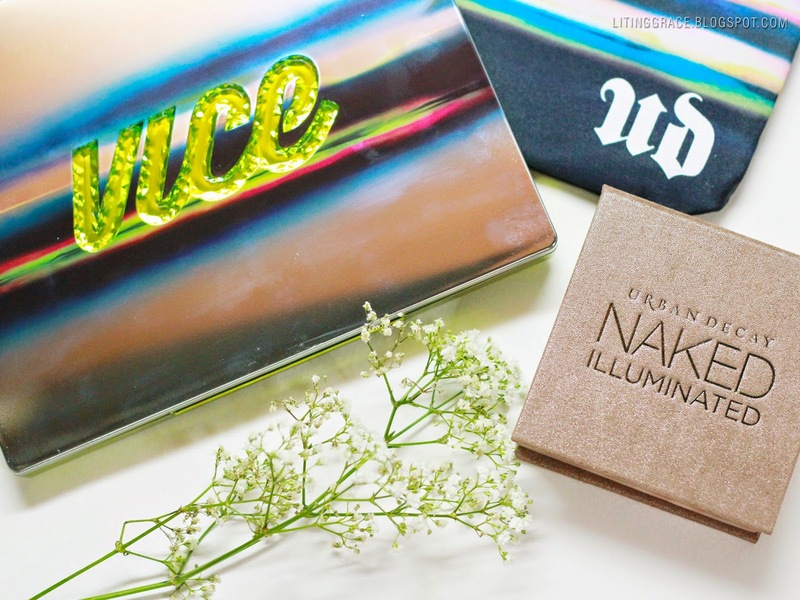 Speaking of Christmas, Urban Decay recently launched the 2014 Holiday Collection. 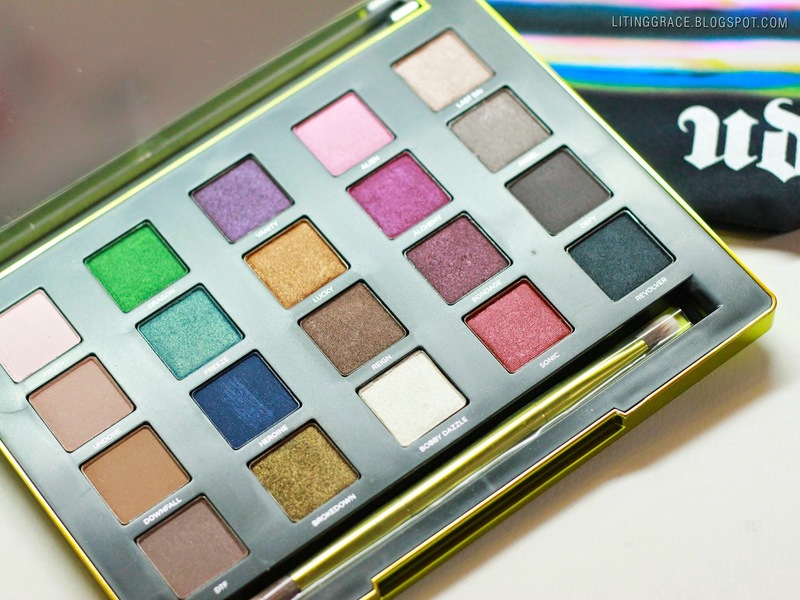 It was a bummer that I had to give the Urban Decay 2014 Holiday showcase at Sephora Ion a miss as I was in Brazil then. But, but, a pleasant surprise awaited me when I returned home from my trip. This was what I found waiting for me when I got home. 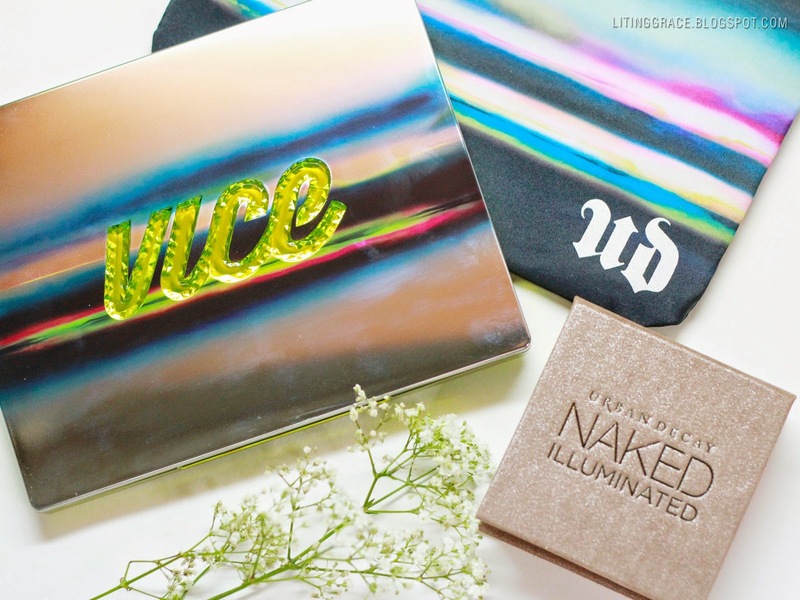 For the uninitiated, the Urban Decay Vice Palette is released every year and the Vice3 is the third palette to be released. 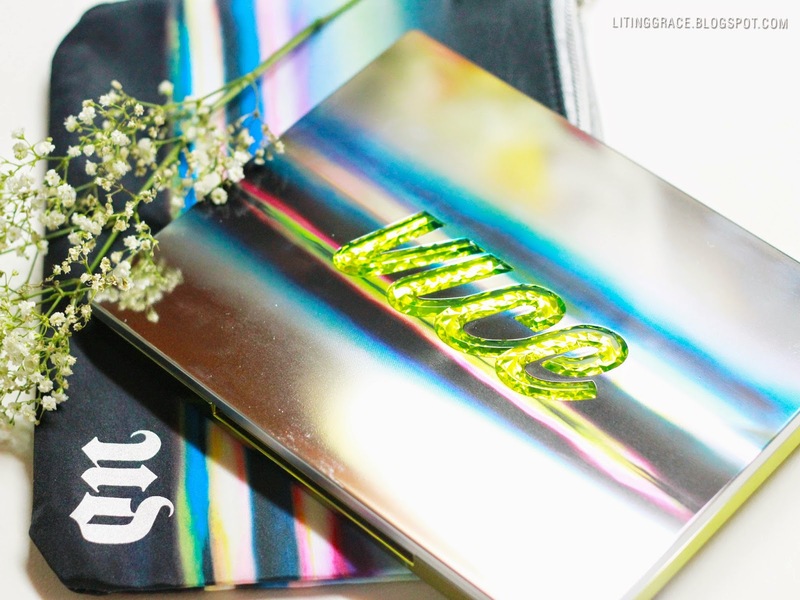 What I love about this year's palette is the sleek design and how it comes with a complimentary pouch. The size is big enough to fit an iPad mini too. How cool is that? 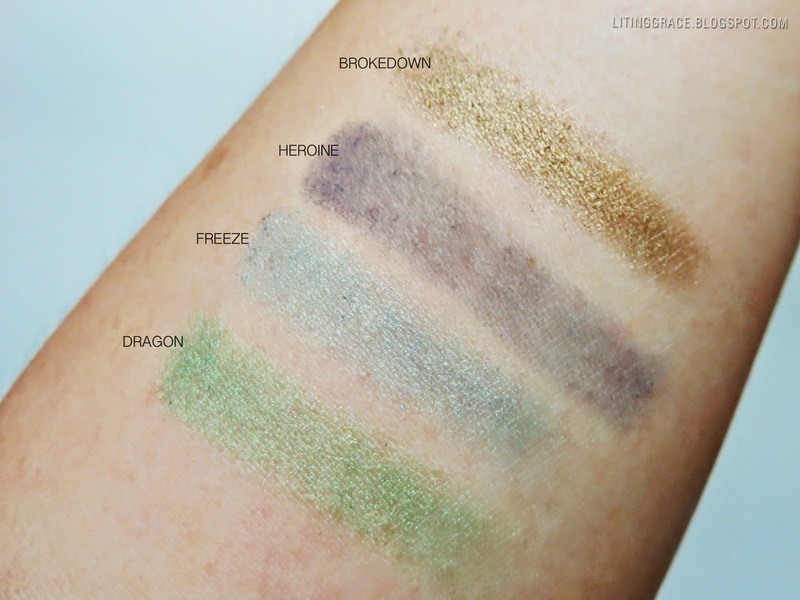 The Urban Decay Vice3 palette contains 20 stunning, velvety, never-seen-before eyeshadow shades; matt and metallic, warm and cool colours; all you need to satisfy your eyeshadow cravings. 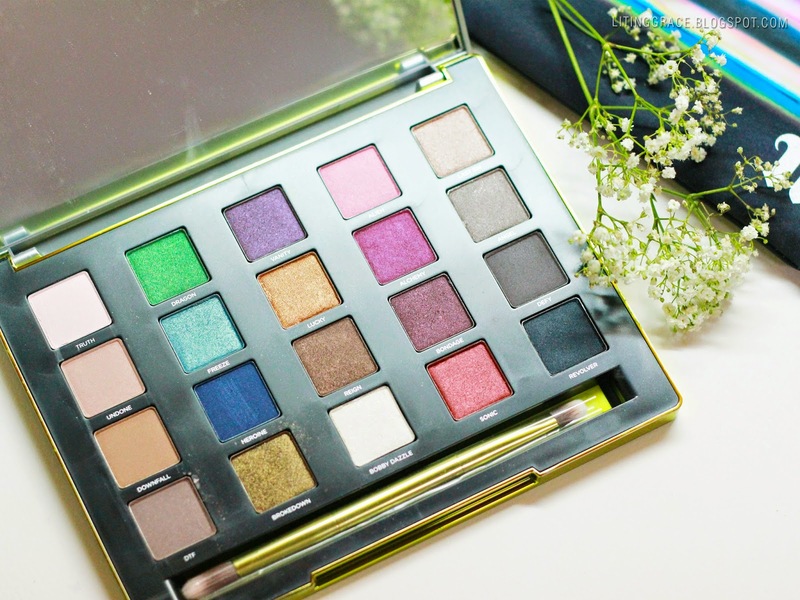 The Vice3 is also a limited edition palette with only 2,000 pieces available in Singapore. I love how there's a good mixture of colours, how you can play and mix around with the different colours. 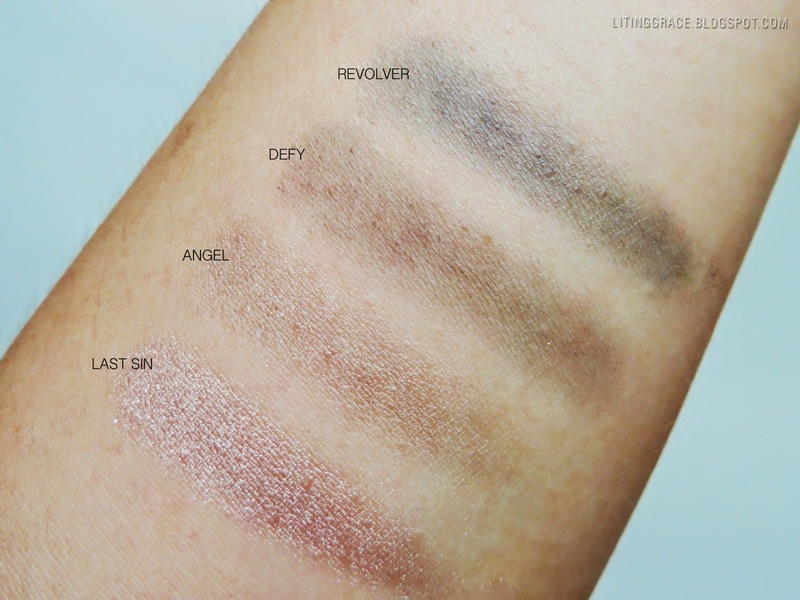 This is one palette that I will be bringing along for my trips future. Not more lugging around different cases of eyeshadows. 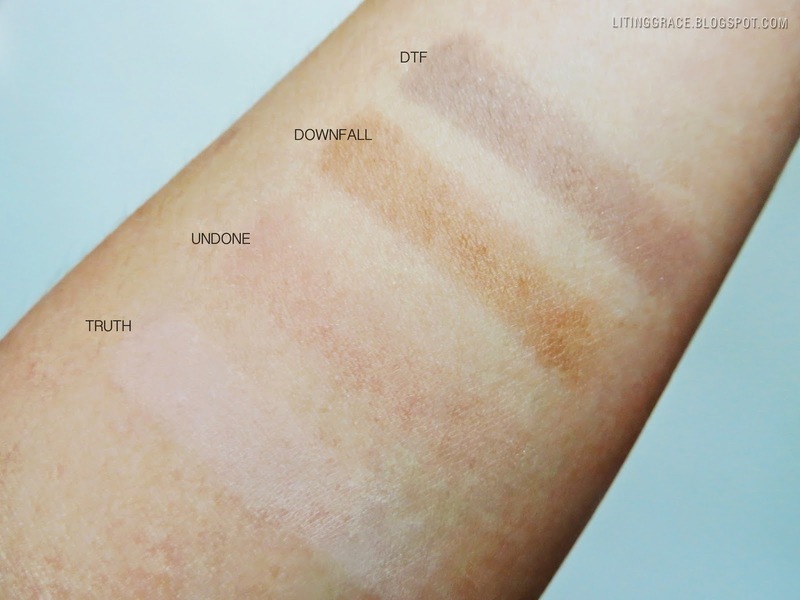 Coming right up, swatches of the eyeshadows (top to bottom, by columns). 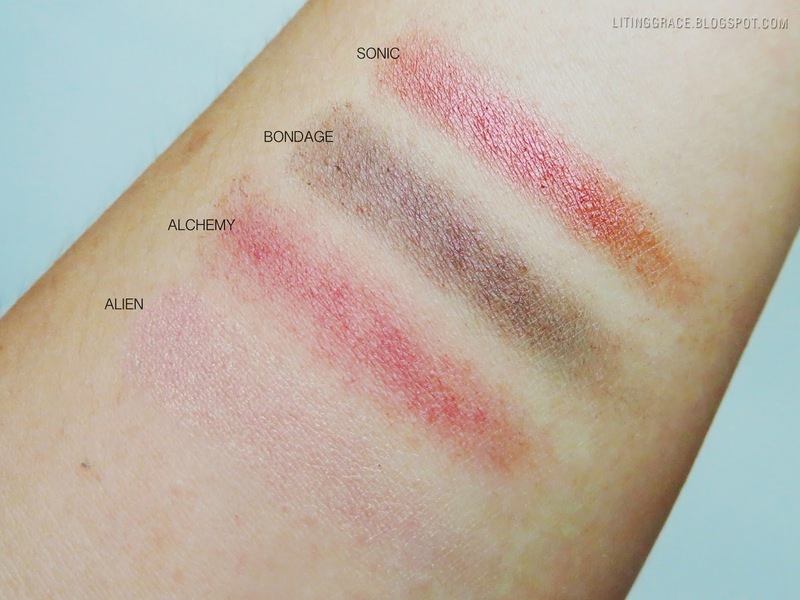 This is my first time doing swatches like these, and I definitely need to practise more, so my apologies if it isn't up to your standard. 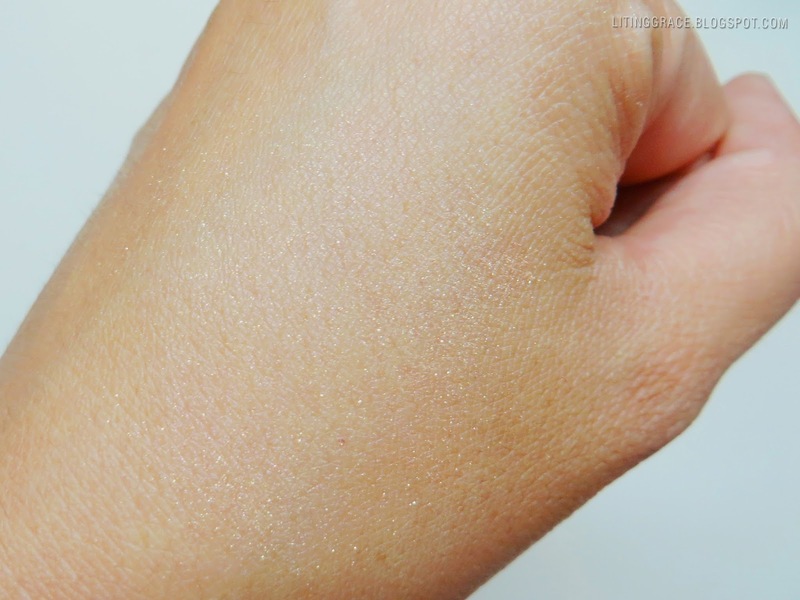 The Naked Illuminated Shimmering Powder for Face and Body is a lightweight baked, smooth, silky powder with a sophisticated microfine shimmer. 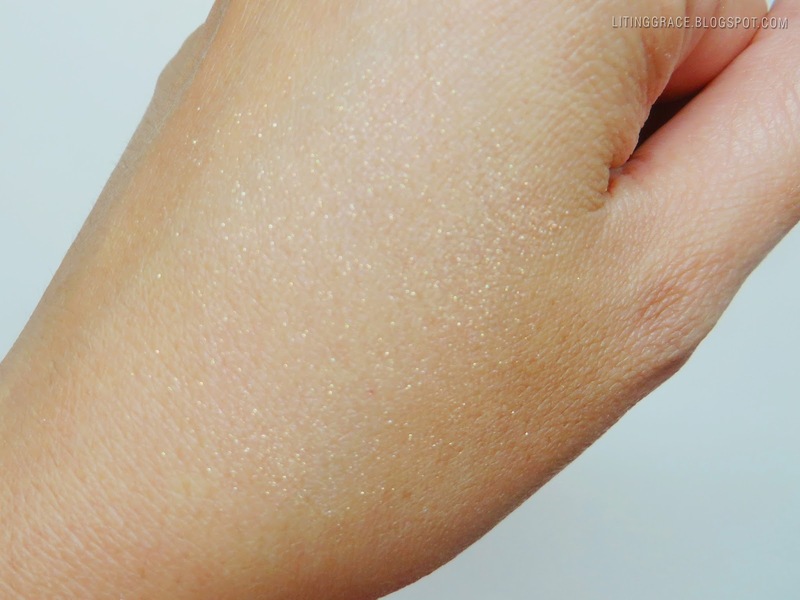 It contains light-reflecting particles that creates a luminous and radiant look, something which I'm pretty sure everyone loves. 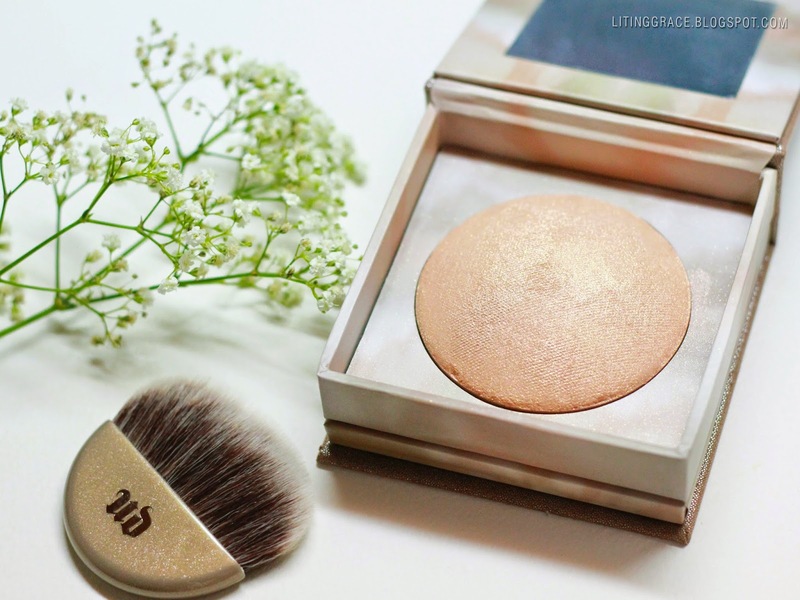 I'm a sucker for beautiful packaging and the Naked Illuminated Shimmering Powder for Face and Body won me over with its gorgeous packaging, with a warm, abstract marbled effect. It comes also with a generous size mirror, and a brush housed in a separate compartment, just underneath the powder. 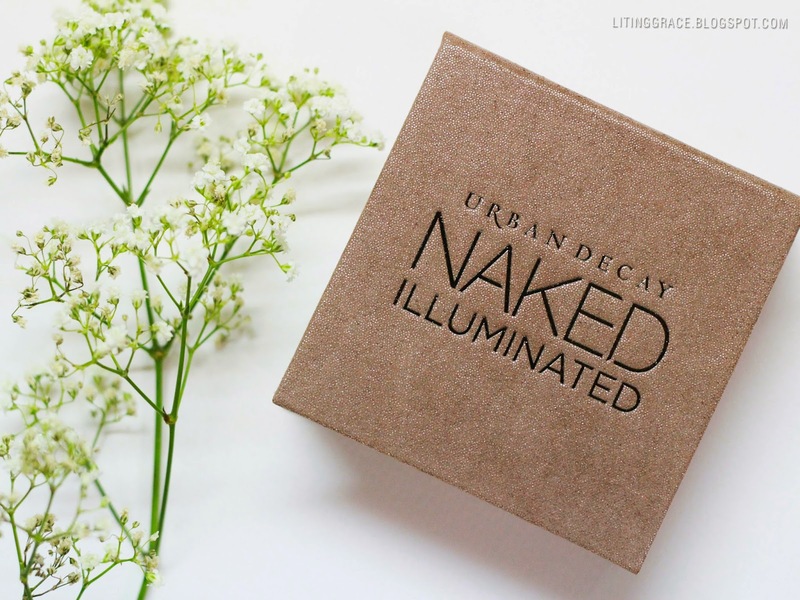 This is like the perfect gift for any Urban Decay fan! 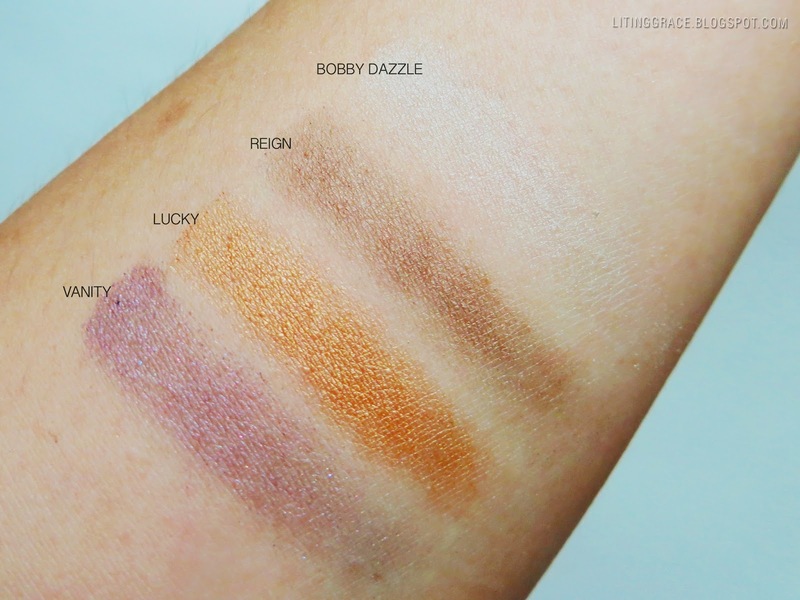 Aura is tad rosier than the original shade and it creates this beautiful warm glow. Personally I feel that the soft pink shimmer with gold iridescent sparkle is too much for the cheekbones, but it's fantastic on the shoulders and collarbones. If you are fretting over what to get for your girl friends this Christmas, you may consider the Vice3. It definitely makes a great gift and is sure to bring a smile to the recipient's face. So, hurry down to the nearest Sephora store and shop away! Till the next, stay gold!